← Mr Sheep — A cross stitch finish! Forgive me readers, for I have sinned…with a stashquisition of epic proportions. Part of this was necessary, and actually part of my January/February Resolutions…but part of it was just pure frivolity. I’m going to say it’s because my stash is made up of mostly 4-ply and DK weight yarns, and at the moment I’m loving chunky yarn. I’m designing some hats based on the geometry of Dartmoor, and doing them in chunky yarn because I’m loving the look and feel of it at the moment. It’s not my fault I have to go buy more yarns…! This post was enabled by Gracey, by the way. 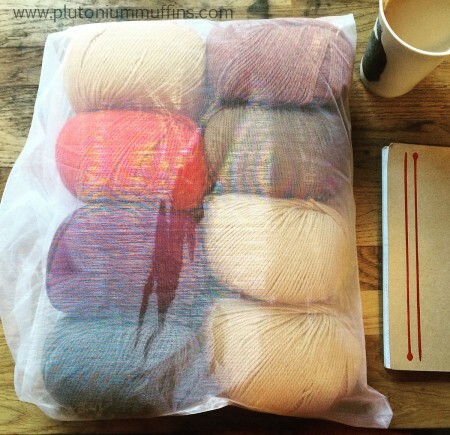 She has some great projects on the go, and I find her yarn choices super inspiring. A lot of Cascade 220 on Stashquisition Saturday! 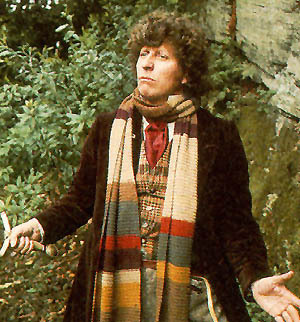 Iiiiiiit’s…the Dr Who scarf! Did you get it right? This is going to be for my lovely John, and the pattern I’ll be using is the original one over HERE. This is from Season 12 of Dr Who (the original) and the site has given loads of suggestions of yarns to use, including options for different weights, different colour matching options and different fibres too. I went for the Cascade 220 combination, which was added in November 2015 and does not have great colour matching, but is at least relatively easy to access from the UK. The big problem I have with www.drwhoscarf.com is that it’s aimed at our friends across the pond, and the North American yarns are harder to get here in an affordable way. I priced up various options that they gave, and although I could get the better colour options, I would have had order the yarns from a variety of different places, and it was expensive. Even LoveKnitting didn’t have all of the options available, and I ended up ordering my yarn from Wool Warehouse in Leamington Spa. 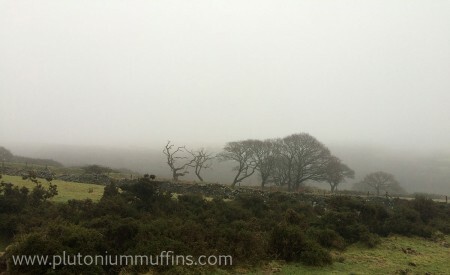 I could have taken the Pantone colours, gone to a yarn store and picked my colours that way, but that way required me going to a yarn store, and with my isolation up on Dartmoor, it wasn’t possible. This ended up costing £55 with free postage. I had to order one ball each of every colour except the tan, which needed two balls to get the predicted yardage. I’m super excited to have received this. John and I celebrated our fourth anniversary this year, and I don’t think he has quite realised I went for this as a gift because the fourth Doctor wears the scarf! 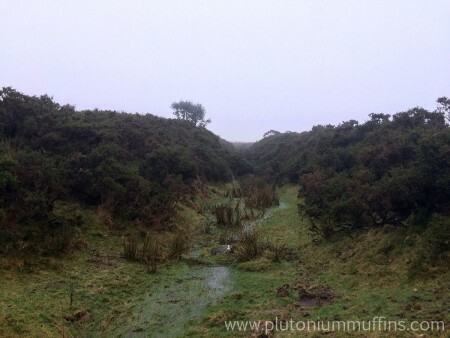 I’ve been doing lots of walking on Dartmoor recently, and there are so many beautiful bits of nature up there. I geeked out about my favourite spring in my ‘A Day on the Farm‘ video, and have been taking lots of photos of things that catch my eye whenever I go up there. I’m just using my little old iPhone, so these aren’t fab, but there we go. Trees on a wall – check out the shapes of the dead one on the left! A stream carving out its own little valley as it travels south. 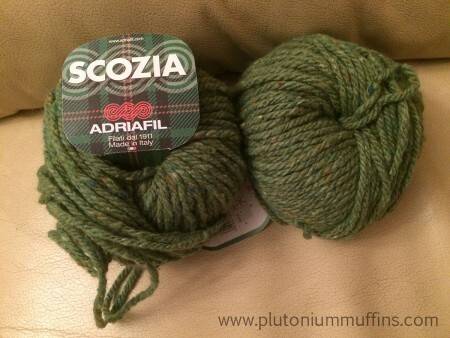 This green yarn from Adriafil caught my eye when I was picking up some yarn for my Gran to knit some baby stuff with, and it is a relatively good match to the colour of the gorse at the moment. There are very few flowers – in the summer these bushes will be a riot of yellow – but for now they are a bright green in a landscape of browns, greens, greys and all the possible variations of these, and have been very noticeable. Not least because we have to walk through a lot of it and those thorns are sharp! 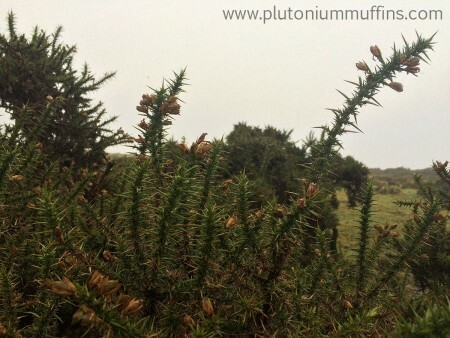 Gorse on Dartmoor. It was hard to get this photo because the stuff is so prickly! I wanted it silhouetted against the sky, but just couldn’t get the angle. Adriafil Scozia, no. 34 green, ready to become a new design inspired by Dartmoor. I have plans for all of this yarn, so this is not random buying, and I am pleased that I’m not needlessly adding to my stash. Watch this space for more, hehe. I’d better go cast on some stuff…Have a wonderful weekend! Mr Sheep -- A cross stitch finish! This entry was posted in Blog and tagged Adriafil, Cascade 220, Dartmoor, Design, Dr Who, Dr Who Scarf, Fourth Doctor, Gorse, Stash, Stashquisition, Tom Baker, Yarn. Bookmark the permalink. Thanks for visiting. I went back and put the link up, if you want to add your post. I’ve made a Dr. Who scarf! But I got it as a kit from Lorna’s Laces…I love it, but need to do a bit of repair, as one of the ends became loose….love that green yarn…can’t wait to see the pattern! How cool, a Dr Who scarf. I love Cascade 220, particularly the super wash variety. It washes well and is pleasant to knit with, too. Have fun knitting the scarf. Good luck with your scarf. I’ve done two of them myself. Sorry to hear that acquiring the yarn was such a hassle! Hi Corrie, thank you for joining in with my link party. Thanks for following my blog too, I’m really glad to connect with you. I think it’s really cool that you’re making this scarf! I’m sorry the yarn was difficult to get. I’m looking forward to seeing your progress. Hope you’re having a good week so far. What a great project and I love the connection of the fourth Dr Who and your fourth anniversary.